It is suggested you include these foods in any sensible weight-loss plan to give your body the extra metabolic kick that is necessary to shade off weight quicker. A sensible weight loss plan calls for no fewer than 1,200 calories per day. But Dr. Charles Klein recommends consuming more than that, if you can believe it – 1,500 to 1,800 calories per day suggesting you will still lose weight quite effectively at that level. Hunger is satisfied more completely by filling the stomach. Some of the foods are listed below, these are rich in nutrients and possess special fat-burning properties. Bread in itself is alright. It is the addition of fat like butter and margarine that make it seem a no-no when it comes to weight. Bread, a natural source of fibre and complex carbohydrates, is okay for dieting. 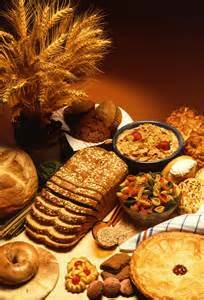 The key is eating dark, rich, high-fibre breads such as pumpernickel, whole wheat, mixed grain, oatmeal and others. The average slice of whole grain bread contains only 60 to 70 calories, it is rich in complex carbohydrates – the best, steadiest fuel you can give your body – and contains some protein too. It is said an apple a day keeps the doctor away, now, it seems, they can help you shade off the weight too. They increase your blood sugar levels in a safe, gentle manner and keep them up longer than most foods making you feel fuller for longer. They are also one of the richest sources of soluble fibre available. This type of fibre prevents hunger pangs by guarding against highs and lows in your blood sugar level, (Dr. James Anderson). An average size apple is only 81 calories and has no sodium, saturated fat or cholesterol. You’ll also get the added health benefits of lowering the level of cholesterol already in your blood and helps lower blood pressure. The grapefruit is a traditional food of many weight lose diets. It helps dissolve fat and cholesterol, according to Dr. James Cerd, University of Florida. An average sized grapefruit has 74 calories, providing 15 grams of pectin (the special fibre linked to lowering cholesterol and fat), it is high in vitamin C and potassium and is free of fat and sodium. It is also rich in natural galacturonic acid, which adds to its effectiveness as a fat and cholesterol fighter. Grapefruit is also known to assist in the fight against hardening of the arteries which may lead to heart disease. Try sprinkling it with cinnamon rather than sugar to take away some of the bitter/tangy taste. Peppers are extremely rich in vitamins A and C, abundant in calcium, phosphorus, iron and magnesium, high in fibre, free of fat, low in sodium and have just 24 calories per cup are a great addition to any diet programme. Potatoes seem to have developed the same “fattening” reputation as bread, and this should not be so. The average potato contains about 85 calories, it great source of fibre and potassium, they lower cholesterol and protect against strokes and heart diseases Toppings are crucial, avoid butter, milk and sour cream, for best results, use yogurt instead. There is a rice weight-loss plan that makes rice the staple of your food intake, gradually mixing in various fruits and vegetables. It produces stunning weight loss and medical results. The diet has been shown to reverse and cure kidney ailments and high blood pressure. A cup of cooked rice contains about 178 calories – about one-third the number of calories found in an equivalent amount of beef or cheese. Whole grain rice is a better option than white rice. Soup promotes weight loss, particularly wholesome, homemade soup rather the tinned soups. Dieters who ate a bowl of soup before lunch and dinner lost more weight than dieters who didn’t, (Dr. John Foreyt). In fact, the more soup they ate, the more weight they lost. And soup eaters tend to keep the weight off longer. Naturally, the type of soup you eat makes a difference. Spinach helps to lower cholesterol, increase the metabolism and burn away fat. It is rich in iron, beta carotene and vitamins C and E and it supplies a lot of nutritional needs. Ask yourself, “How do I look?” Do any of these answers apply to you? Am I overweight, looking like an apple or pear? Do I have a spare tire around my waist? Has my skin become excessively dry, almost paper-thin? Do my joints hurt before or after any physical exertion? Am I constantly worried and anxious? Do I feel tired and sluggish most of the time? Do I suffer from mood swings? Are simple walking and climbing stairs difficult? Do I have problems concentrating? Is running impossible for me now? Am I unable to sit straight, preferring to slouch or stoop my shoulders? Conditions such as diabetes, nervous tension, high blood pressure and cardiovascular disease that are silently brewing. If health authorities had it their way, they’d create legislation to make exercise mandatory as soon as a baby leaves the cradle, not during the teenage years when obesity is likely to strike. Weight lose efforts and fitness shouldn’t be associated with any age limit. You can start at 10 or at 30 – even at 50 and 60 – the idea being that fitness should not be seen as the cure for a condition that’s already come about. One should not wait for illness to strike before going on to some exercise activity, Brad King and Dr. Michael Schmidt in “Bio Age, Ten Steps to a Younger You” (Macmillan, Canada, 2001). For more insights and information on scheduling your exercise and taking care of yourself amidst a busy schedule, I recommend the ebook, Fitting Exercise into a Busy Schedule. The rate of metabolism is an area worth considering when considering a weight lose programme. There are a lot of people who would give a lot to increase their metabolism. Having a high level of metabolism enables one to maintain burn fat and lose weight fast with the least amount of activity. Metabolism is the rate by which the body produces and consumes energy and calories to support life. Sugar enables the body to store fat. It is recommended that a person consumes food that helps sustain an even level of blood-sugar. Additionally, progressive execerise 2-3 times a week should be in order to stabilize blood sugar. These are some of the simple tips one could use in addition to a reasonable diet and they are practical and effective ways of boosting any weight lose programme. More information is available in http://weightlosereviews.com/lose-weight-using-food-combination-diet-and-exercise. Even though there is so much information available about weight loss, the same diet mistakes are being made over and over every day. Such mistakes can lead to failure to lose the weight that you want to lose. Understanding these errors can help you develop the attitude that will lead to permanent weight loss for you. All or nothing dieter s will often pick out a complicated diet that is almost impossible for them to maintain. Before beginning, they will search the kitchen for anything that does not fit the plan and throw it in the garbage. They are planning to be the perfect dieter, and so they will be, for one day, three days, seven days or even a couple of weeks. Then, inevitably, something happens that means they cannot keep to the diet one time. Immediately the whole thing is ruined in their eyes and the diet is over. They go to the store and buy all the things that went into the garbage last week and proceed to gain back all the weight that they lost, as fast as possible. If you are this kind of dieter you need to ask yourself some tough questions. Do you really want to lose weight permanently, or just lose a few pounds so that you can enjoy putting them back on again? The way forward is to make small changes to what you eat so that you have a slow but steady weight loss. Another common mistake is to view your diet as a period of sacrifice. You do not allow yourself the foods that you enjoy most while you are on your way to your target weight. You may have a great diet plan and be very successful in losing weight, but what happens when you reach your goal? You have not learnt to eat ‘bad foods’ in moderation so as soon as you start, you are likely to go out of control. It is better to include a little of everything in your diet and learn to enjoy it in small quantities. Yes, even chocolate! Setting achievable goals is vital in any weight loss plan. Goals should be clear, realistic and set out in writing. While you probably do have an ideal weight in your mind, unless you are only very slightly overweight it is probably too distant to be useful. A more useful goal would be to lose two pounds per week for the first five weeks and then one pound per week after that. Some weeks you will lose more and some less, some weeks you may even gain, but if you track your progress on a graph you will see that ups and downs are natural and do not stop you progressing steadily toward your major goal. A surprising fact is that many conditions can be improved by visualization and weight loss is one of them. It works like this: you keep a vision in your mind of how you want your body to look, and subconsciously you will begin acting in a way that will go in that direction. For weight loss, you visualize on your ideal body weight several times a day and keep that picture in your mind and see yourself in your ideal weight. You will with time achieve the results you want. I believe visualization is helpful with a combination of other weight lose activities of correct diet, exercise, right intake of calories. It is best to get or prepare positive affirmations that you use as positive reinforcement. know what to do for the best. activities as part of your routine, will ensure that you can reap these rewards and reduce the need to lose weight. • Worldwide, there are increasing numbers of people struggling with issues of weight and using all sorts of diets to lose weight – fast. Eating healthy will not only help you maintain your ideal weight but will boost total wellbeing and reduce most of the weight related ailments and condition.